Donald Hunt gives 5-star praise to pianist Ching-Yun Hu. 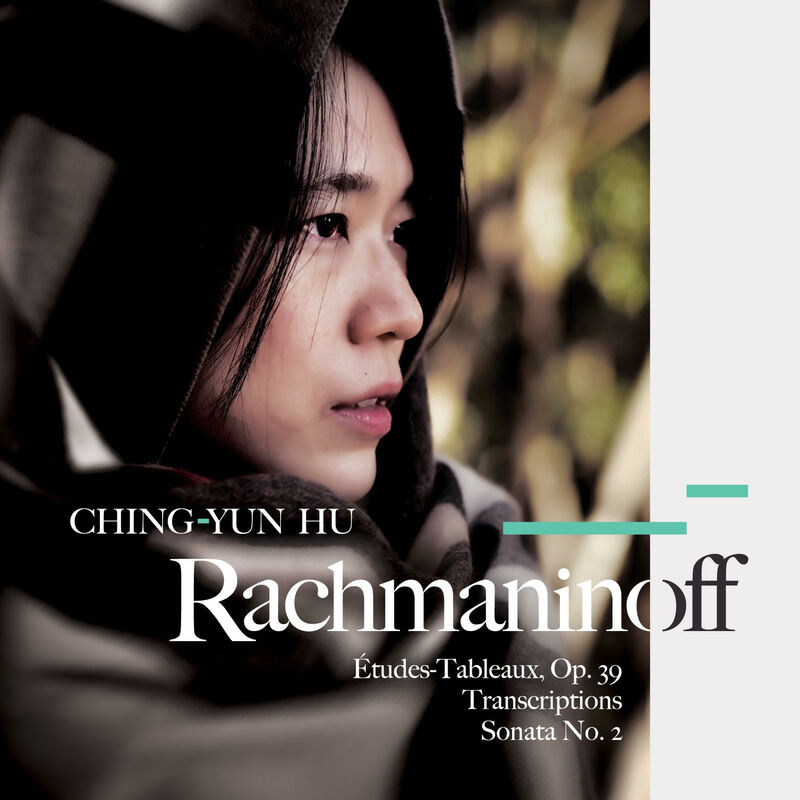 Recorded in February 2018, pianist Ching Yun-Hu presents a self-released album of a composer that has had a prominent place in her repertoire since she was 12: Sergei Rachmaninoff. This album is a love letter of sorts to Rachmaninoff as this is the 145th anniversary of his birth. The album begins with his Etudes-Tableaux, Op. 39, a set of technical piano pieces that go well beyond what is expected of an etude. These etudes run the gamut for a pianist in its technical and interpretive demands, and Hu brings the story Rachmaninoff was trying to tell to life. The etudes require a relentlessly flawless command of the left and right hand, which Hu does with a clean, sensitive touch. In perhaps his most famous composition, Hu performs a Zoltan Kocsis arrangement of Vocalise. The work has one of those singing lines that transports the listener into an immediate pleasurable state, no matter which instrument is performing. Hu delivers more of the tension in the harmonic counterpoint while seamlessly allowing each melodic phrase to flow. Hu’s cheery interpretation of Rachmaninoff’s piano transcription of the Preludio from Bach’s Partita in E Major is a high-point on this disc. This is apparent as it’s the only non-Rachmaninoff composition, which gives Bach an even greater chance to stand out than usual. Learn more about this album here. Preceding a dream-like arrangement of Rachmaninoff’s Lilacs, the album closes with his Sonata in B-flat minor, Op. 36. This sonata is one with multiple personalities established throughout its 40-minute timeframe. In an interesting tidbit, Rachmaninoff was never fully satisfied with this sonata. This level of doubt comes through in the frenzied manner of his sonata, and Hu distinguishes those moods beautifully. Rachmaninoff is one of those composers that all top-level pianists programme entirely around because his output to the piano world is overwhelming. This album by Hu, winner of the 2008 Arthur Rubenstein International Piano Master Competition, is essential listening for Rachmaninoff admirers.